The mission seems simple enough: extract a pharmaceutical magnate from Russian soil, a volatile man who holds the secret to a deadly bio-weapon. But nothing is as it appears to be. A conspiracy of world-shattering scope unravels as Tucker and Kane struggle to keep one move ahead of their deadly enemies.From the frozen steppes of Russia to the sun-blasted mountains of South Africa and Namibia, a biological threat millions of years in the making strikes out at the heart of America. All that stands in the way of a global apocalypse is one man and his dog. But can even Tucker and Kane thwart an ecological menace from the ancient past to save the world's future? 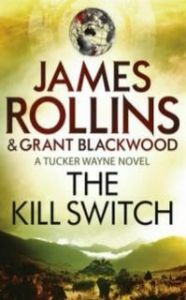 James Rollins is the author of twelve bestselling novels. An amateur spelunker and scuba enthusiast, he holds a doctorate in veterinary medicine from the University of Missouri. He currently lives and writes in Sacramento, California.